Dr. Serif Krkic is very excited to be back in his home town. 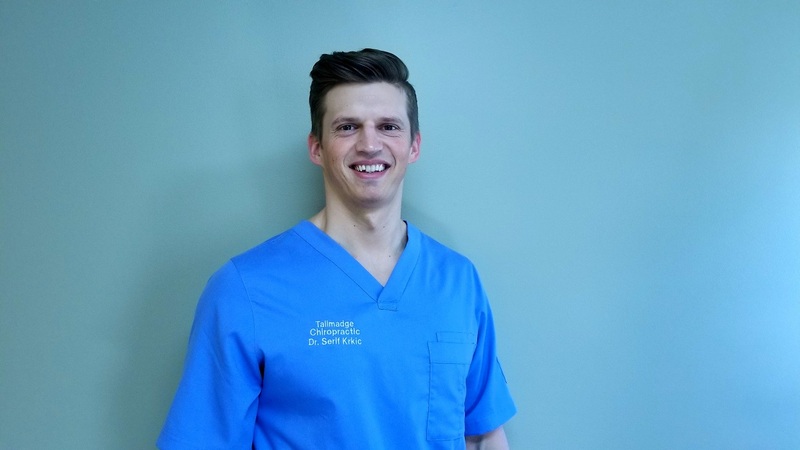 Dr. Krkic grew up in Akron and attended Akron University where he earned his bachelor’s degree in Exercise Physiology. In 2013, he decided to further his education at National University of Health Sciences and earned his doctoral degree in Chiropractic medicine. Dr. Krkic strongly believes in healing of the body from the inside-out. With his whole person approach, latest adjustment techniques, state of the art physiotherapy procedures, unique rehabilitation, and supplement protocols, Dr. Krkic is able to help you reach your optimal health care goals.